Political leaders – the way they rule and how they come to power – can tell a lot about a country’s present and future. This is especially true for Africa, a continent in which personalistic rule, authoritarianism, and underdevelopment have historically gone hand in hand. Not surprisingly, leadership handovers in Africa often catalyse extraordinary attention. Just consider the past twelve months or so, during which the region witnessed some dramatic leadership transfers. In Zimbabwe, Robert Mugabe, one of the continent’s most despised power-holders, was replaced by his former vice president after years of increasingly authoritarian rule and disappointing development performances. South Africa’s Jacob Zuma, who had been accused of 783 counts of corruption, was forced to step down by his own party, the ruling African National Congress, handing power to Cyril Ramaphosa. In Ethiopia, Prime Minister Hailemariam Desalegn voluntarily resigned to smooth the path for a new political opening, leading to the surprise rise of the first ethnic Oromo leader in the country’s modern history. José Eduardo Dos Santos left office in Angola after almost four decades in power, having become one of the continent’s longest-serving presidents. Are these heralds of democratic progress? Will they trigger more meaningful political, social and economic developments? The Africa Leadership Change (ALC) Project is a truly unique interactive data visualization tool offering answers to these questions and insights on many of Africa’s past and present political dynamics, with a particular focus on national leaders. Hosted on the website of the Italian Institute for International Political Studies (ISPI), and conceived by Giovanni Carbone (ISPI and Università degli Studi di Milano) and Alessandro Pellegata (Università degli Studi di Milano), the ALC Project is based on an original collection of data covering all leadership changes that have taken place on the continent from 1960 to the present day. The ALC dataset tracks the political history of each individual African country through the lenses of leadership transfers, with complete information on their timing, frequencies and types. It records whether such handovers occurred through violent transitions, coups d’état or armed insurgencies, or rather through elections, and whether electoral changeovers took place in a framework of party continuity or else they marked the advent to power of opposition forces. One added value of the ALC Project rests in its interactive design, which makes it easily accessible to both scholars and a wider audience of journalists, policy-makers and stakeholders with an interest in African affairs. The different types of information featured by ALC can be visually represented through four main interactive tabs. Interacting with the map of the African continent located in the first tab (“Current African Leaders”), the user can look up which leader is currently in office and the level of democracy for each of Africa’s 54 sovereign states. A chart on African leaders’ duration in office also reveals who are today’s longest-serving leaders and who are the newcomers. The evolution of these and other political dynamics, for all the countries of the region, can be visualized in a second screen, called “Dynamic Map”. Besides data on leadership changes, the ALC project provides time-series recording a country’s progress in a wider range of political and socioeconomic indicators, from economic growth to human development, from demographic expansion to average life expectancy. These can be visualized in the “Dynamic Map” tab. Most importantly, through the “Charts” tools, the user can create personalized line graphs which complement information on leadership changes with information on a country’s economic and social trends over time. Countries can be compared with each other, or contrasted with regional average values. Finally, using the “How Leaders Change” tab, those interested in how leadership transitions have taken place in African countries and in how modes of leadership change have evolved through history can easily track the relative or absolute numbers of violent, peaceful but non-electoral, or electoral changes, and the different forms each of these can take. Leaders and leadership transfers shaped Africa’s modern political history and will contribute to shaping the continent’s future. We shall follow these and related developments with regular updates of the ALC dataset. This entry was posted in Africa, Data, Research resources and tagged Africa, data set, political leaders on October 2, 2018 by Robert Elgie. The recent terrorist attacks in Paris—as well as high-profile terrorist attacks in democratic countries far and wide, including Argentina, Spain, the U.S., and India—raise important questions about the causes terrorism and about how it can be prevented in the context of democratic politics. The attacks and the protests that have followed them also raise the question of whether leaders in democratic systems are likely to suffer political consequences—including the potential of being kicked out of office—for what citizens perceive as substantial security failures. Much of what we know about how the public metes out blame or credit for policy outcomes comes from the field of political economy. One of the most common hypotheses in this field states that the public is more likely to hold leaders accountable for economic performance when “clarity of responsibility” is high. Under unified government, for example, citizens will be more likely to blame or credit the executive (president, prime minister, etc.) for economic policy, which they see as reflecting the executive’s vision and priorities. The perception that the economy’s fate rests in the executive’s hands makes it difficult for leaders to shift blame for failures but easy to take credit for successes. In such circumstances, when the economy roars leaders ride a wave of popularity. But when it tanks so does their public approval. Although this hypothesis has a good track record of explaining patterns of accountability for economic outcomes, it does not explain when citizens will hold executives accountable for terrorism and security outcomes. In our work, we argue that there are two central reasons for this: first, there are important differences in who citizens perceive to be responsible for economic and national security outcomes. Second, security and economic policy failures present different opportunities for executives to create a narrative frame that benefits them. We explain each of these reasons below. First, in most countries executives share responsibility for economic policy with other domestic and international political actors — and citizens know this and take it into account when assigning credit or blame for economic outcomes. But citizens, and most constitutions, place responsibility for terrorism and national security squarely on the shoulders of the executive. This makes it hard for leaders to shift blame for security breakdowns. Claiming that their hands were tied strains credulity. In addition, security failures create a bully pulpit from which the opposition can roundly criticize the executive and, since they share no responsibility, gives them a cheap way to score political points. Second, although it is extremely difficult to put a positive spin on economic crises, security policy failures produce different options for executives. Under unified government, sitting executives can blame the violence on the attackers rather than on their government’s failure to prevent the attack. Threatening and evocative media coverage reinforces this frame and helps executives rally the public to their side and in support of their policy response. Thus, while unified government makes it more likely that the executive will get blamed for economic failures, it makes it less likely that terrorism and security crises will hurt executives’ public support. Under divided government, by contrast, opposition leaders have enough resources at their disposal – speakerships, committee chairmanships, better access to the media, etc. – to allow them to counter-frame and, thus, challenge the executive’s narrative. This back and forth hurts the ability of the executive to impose its preferred narrative. As a result, when it comes to security and terrorism, divided government makes it more likely that citizens will blame the executive for a policy failure or crisis. When it comes to terrorism and security policy, then, the classic “clarity of responsibility” hypothesis, developed to explain accountability for economic outcomes, seems to function in reverse. The contrast between presidents Alan Garcia of Peru and Alvaro Uribe of Colombia provides a good example. In mid-2007 García was faced with withering criticism from Peruvian opposition leaders in Congress and a 7.1 percentage point drop in approval following a Sendero Luminoso attack that killed 60 people. In contrast, Uribe enjoyed a united government that allowed him to shape the narrative more easily and to escape blame following attacks that killed or wounded 196 people in 2002. To explore this idea empirically, in our research we look at how acts of terrorism influence executive support in 18 Latin American democracies in the context of either unified or divided government. We use historical data that covers the period from 1980 to 2007. For terrorism casualties we use data from START’s Global Terrorism Database; data on clarity of responsibility come from Witold Henisz’s Political Constraints Database; presidential approval data come from our own Executive Approval Database; economic data are taken from the International Monetary Fund’s International Financial Statistics and the Economic Commission for Latin America and the Caribbean’s CEPALSTAT; and controls for level of democracy are from the Center for Systemic Peace’s Polity IV Project. If our argument is correct, terrorist attacks should reduce presidential approval less under unified government than under divided government. Source: Carlin, Love & Martinez-Gallardo (2015). Figure 1 shows the relationship between inflation (right panel) and casualties attributed to terrorism (left panel) and presidential approval at different levels of clarity of responsibility (or the degree to which government authority is divided). The Figure highlights our main finding: while presidents facing an opposition congress (low clarity of responsibility) can somewhat avoid blame for a failing economy, executives under the same circumstances are likely to be punished for security failures. In other words, the consequences of an economic crisis for executives’ approval are worse under divided government, when voters have a hard time deciding whom to blame for policy outcomes. In contrast, security crises are more likely to dent executives’ approval when the government is unified because they cannot credibly shift blame. The conditionality of accountability we examine in this research and in a previous paper focused on political scandals, highlights the challenges involved in understanding democratic accountability. Our work suggests it is important to look not only at the political environment – whether the government is unified or divided—but also at the nature of the particular policy issue. By taking both factors into account, performance accountability can be viewed as a complex relationship between issue ownership, blame shifting, and the effectiveness of executive and opposition narratives. In particular, the issue ownership executives have over security policy is clearly a blessing and a curse. Executives can often feel emboldened and less constrained by the legislature when dealing with matters of national security and physical safety. However, when a country suffers a security failure, executives find it hard to shift blame onto an opposition legislature, and instead face vocal criticisms that tend to lower their public support. Ryan Carlin is an Associate Professor of Political Science at Georgia State University. His main research field is comparative political behavior, especially in Latin America. His other research interests include natural disaster politics, social preferences, rule of law, and political institutions. Greg Love is an Associate Professor of political science at the University of Mississippi. He specializes in the politics of Latin America and developing countries broadly. One of his specific research interests is how political careers develop and change in transitional democracies and how these changes affect the quality of governance. He has conducted extensive field research in Mexico and Chile for this and other projects. Cecilia Martínez-Gallardo is an Assistant Professor of Political Science at the University of North Carolina at Chapel Hill. Her teaching and research interest are in Latin American political institutions, especially government formation and change. Her work focuses on the political and institutional factors that affect coalition politics in these countries. She has also worked on government formation and stability in Western Europe and as well as policy reform in Latin America. This entry was posted in Data, Presidentialism, Research resources and tagged presidential popularity, presidentialism on April 1, 2015 by Robert Elgie. This is a guest post by Fernando Casal Bértoa from the University of Nottingham. Have you ever wondered who governs the countries of Europe? Would you like to know who governed your country more than a century ago? Are you not sure about the partisan affiliation of ministers in your neighboring states? Are you interested in discovering how has the (economic and financial) crisis affected the composition of European governments and party systems? Now a quick answer to all these questions, and more, is possible thanks to a new research project at the University of Nottingham: namely, the Party Systems and Governments Observatory (PSGo), a new research interactive tool (whogoverns.eu) where data on government formation and party system institutionalization in 48 European democratic states since 1848 can be found. European indicates those countries stretching from the Atlantic to the Urals. Democratic refers to those countries displaying (1) a score of 6 or higher in the Polity IV index, (2) universal suffrage elections (including universal male suffrage only, when historically appropriate), and (3) governments formed and/or relying on a parliamentary majority, rather than on the exclusive will of the head of state. States includes those countries recognized by either the United Nations or the Council of Nations. In particular, and as it follows from the table below, the number of years per country varies between just one (e.g. Czechoslovakia’s Third Republic and the Kingdom of Serbs, Croats and Slovenes) and more than a century (e.g. Norway or Denmark). Secondly, the number of political regimes taken into account varies between just one (e.g. Belgium or the Netherlands) and four (France and Greece). Thirdly, the number of electoral cycles taken into account varies between just one (e.g. Greece’s post-WWII Kingdom or Poland’s First Republic) and thirty-three (Switzerland). Finally, the number of cabinets taken into account varies between just one (Czechoslovakia’s Third Republic) or two (e.g. Belarus or Kosovo) and ninety-seven (France’s Third Republic). In terms of government composition, the database contains information on cabinet duration (i.e. dates of formation and termination), the names of the various ministerial offices as well as of the people appointed to occupy them, and the partisan affiliation of each minister at the time a particular cabinet is appointed. c) celebration of parliamentary elections. In case of electoral coalitions, the database also displays information about the partisan affiliation of the ministers belonging to the different parties within the coalition. In those instances when two or more political formations merged to form a new party, the partisan affiliation of the ministers belonging to the parties merged is also shown. g) electoral disproportionality, measured by Gallagher’s (1991) index. All in all, the database covers 166 years, 66 different historical political regimes, roughly 670 elections, and more than 1600 cases of government formation. Finally, and for those interested in more than plain data, the Observatory also runs a blog where country experts post their knowledgeable opinions on the latest process of cabinet formation (for example in Bulgaria, Ukraine, Kosovo, Romania), including inside analyses on coalition negotiations, possible government alternatives, future outcomes and expectations, and the like. See also https://twitter.com/whogovernseu or https://www.facebook.com/whogovernseurope. As a result, the Turkish Republic of Northern Cyprus is not included. Simple government reshuffles (i.e. change of ministers without proper “governmental change”, see above) are not recorded. Fernando Casal Bértoa is a Research Fellow at the University of Nottingham (UK). He is also co-director of the Centre for Comparative and Political Research at the School of Politics and International Relations. Before he was a Post-doctoral Fellow at the University of Leiden in The Netherlands. He studied Law at the University of Navarra (Pamplona, Spain) and Political Science at the University of Salamanca (Spain). After specializing in Eastern and Central European Studies at the Jagiellonian University (Cracow, Poland), he obtained his PhD at the European University Institute (Florence, Italy). 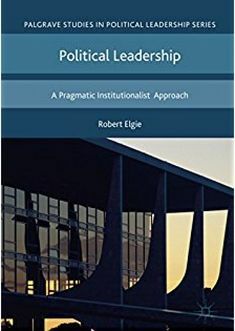 His work has been published in Party Politics, Government and Opposition, International Political Science Review, South European Society and Politics, or East European Politics. This entry was posted in Data, Europe, Research resources and tagged cabinet, Europe, government formation on March 12, 2015 by Robert Elgie. This blog is now seven weeks old. Thank you for visiting the page and for coming back! As you may know, in addition to this blog we also run a Facebook Page where we post links to breaking news items. These Facebook posts go automatically to our Twitter account (@prespow). Do please visit and ‘like’ our Facebook Page and follow us on Twitter. Since we began on 4 October, we have posted nearly 350 news items on our Facebook Page, or around 50 per week. We have also retweeted additional news stories from our Twitter account. Increasingly, researchers are using social media to collect data for research projects. For example, Thomas Sedelius and Olga Mashtaler recently used posts on The Semi-presidential One blog as one of their sources for identifying presidential/prime ministerial conflict in Central and Eastern Europe (‘Two decades of semi-presidentialism: issues of intra-executive conflict in Central and Eastern Europe 1991–2011’, East European Politics, DOI:10.1080/21599165.2012.748662). In this spirit, we are making openly available the data set of our Facebook posts. The data set includes the title of the post, the date of the post, and the link to the original news story. The data are fully searchable. So, for example, they can be searched for references to presidents in particular countries, or for references to the exercise of a particular type of presidential power. In addition, the links allow researchers to go back to the source of the Facebook post to verify the story or to research the item further. The data set is available on request as a .csv document. This means that it can be opened in Excel, Numbers or an equivalent programme. If you wish to receive a copy of the data, then please just e-mail Robert Elgie (robert.elgie@dcu.ie). In return, we ask two things. First, if you are on Facebook and have not already ‘liked’ our Page, then please do so. Second, and more importantly, if you use the data set in any publications or papers, then please acknowledge it in the following way: Robert Elgie, Lydia Beuman, Cristina Bucur, David Doyle, Philipp Köker, Sophia Moestrup, Paola Rivetti, and Fiona Yap, 2013-, Presidential Power Project, http://presidential-power.com. If you have any reflections on the data or the blog generally, then please feel free to leave a comment or contact Robert Elgie directly (robert.elgie@dcu.ie). This entry was posted in Data, Research resources on November 22, 2013 by Robert Elgie.